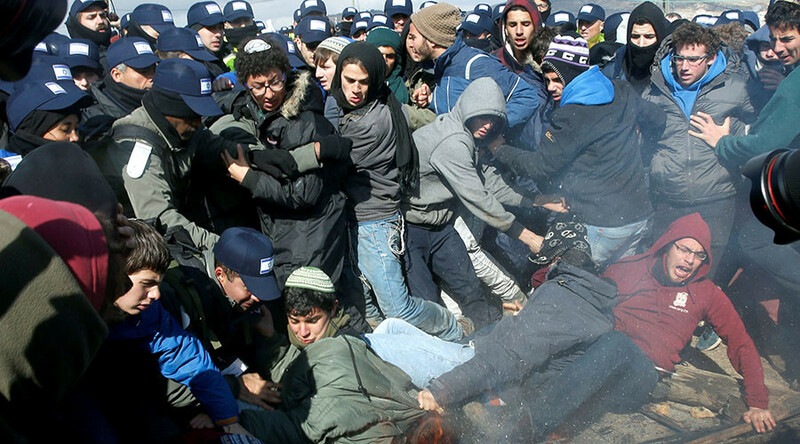 Clashes broke out between police and protesters as security forces began evicting settlers from the Amona outpost in the occupied West Bank which were ruled to be illegal by a Supreme Court order. Hundreds of unarmed police officers began the operation to evacuate the Israeli settlers from Amona around midday on Wednesday. They were confronted by the groups of radical youngsters, who erected makeshift barricades from smashed tiles, metal bars and large rocks on the hilltop, where the outpost is located. The groups consisted both of locals and dozens of youths from other Israeli regions, who flocked to Amona in support of the settlers. Most local residents, however, stayed inside their homes after erecting makeshift barricades in front of their doors as they vowed passive resistance to eviction, as reported by Reuters. “We won't leave our homes on our own. Pull us out, and we'll go,” one settler said, as cited by Reuters. Activists who gathered in homes were also praying, singing religious songs and dancing, according to AP. Some chained themselves to heavy objects while others left their homes with young children in arms. Meanwhile, the protesters were burning tires on the streets and pelting police with stones. “A Jew doesn't evict a Jew!” the youngsters chanted. They also engaged in violent clashes with the officers. At least 10 police officers have been injured by rocks and caustic liquid thrown at them, a police spokesman told reporters. Several protesters were detained as a result of the scuffles. Police spokesman Micky Rosenfeld said forces were operating “carefully and slowly,” as reported by AP. Israeli Education Minister Naftali Bennett has called the illegal settlers heroes and promised that Israel would gain “sovereignty” over the West Bank amid clashes between protesters and police in the illegal Amona settlement. Other Israeli politicians also expressed their support for the residents of Amona. Agriculture Minister Uri Ariel and lawmakers Oren Hazan and Shuli Moallem even arrived at the outpost to show their solidarity with the locals. Defense Minister Avigdor Lieberman told Israeli media that his “heart is with the residents,” as reported by the Israeli Haaretz daily. Located east of the city of Ramallah in the West Bank, Amona was built in 1990s on territory captured in the 1967 war, which is now deemed occupied by the international community. The legal battle over Amona has dragged on for eight years. The outpost already saw a violent partial eviction in 2006 when nine houses were demolished. At that time, police were also confronted by thousands of settlers and the protests ended up in violent clashes, in which more than 200 people were injured. In 2014, the Supreme Court ruled that the outpost was illegally built on private Palestinian land and should be demolished. The court also set February 8 as the final date for the settlement to be destroyed. Israeli authorities managed to strike a deal with the settlers on December 19, 2016. The outpost residents agreed to be given new homes in another plot of land on the same West Bank hill. Between 250 and 330 people still live in Amona. On Tuesday, residents were given eviction notices, warning them to leave their homes within 48 hours. The order allowed residents to file an appeal to the Israeli Defense Forces for a further 48-hour extension. However, police began the evacuations already on Wednesday. The eviction comes as Israeli authorities gave the green light for the construction of more than 3,000 housing units in the West Bank in addition to some 2,500 buildings that were approved for construction last week. Under the new order, some 700 houses will be built in Alfei Menashe, 200 in Oranit, and 50 in Nofim. In addition, 30 units have been approved in Efrat, 70 in Shavei Shomron and 80 in Kfar Eldad. 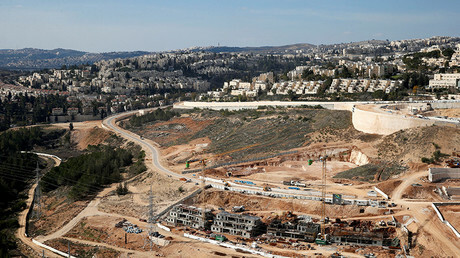 The issue of Israel’s settlements in the West Bank and other occupied territories such as East Jerusalem is one of the most contentious in Palestinian-Israeli relations.